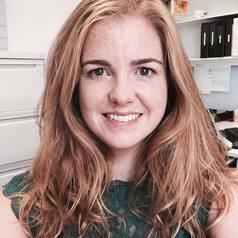 Jenna Hollis is a public health nutrition researcher and dietitian at Hunter New England Population Health and the University of Newcastle, Australia. She has 7 years of research and service delivery experience in dietary assessment methodology, nutritional epidemiology, and trials implementation. Jenna completed her PhD (Nutrition and Dietetics) in women's health in July 2014 through the University of Newcastle, Australia. She has 3 years of postdoctoral experience during which she secured 2 competitive UK postdoctoral positions through the University of Aberdeen (Scotland) and University of Southampton (England), with whom she continues to collaborate. She has 20 publications, including 2 book chapters on the prenatal environment. Her research mission is to ensure children start life on an optimal health trajectory by translating nutrition and weight gain research findings in early life (preconception, pregnancy and infancy) to health service practice and policy.